The annual conference Vilnius Arbitration Day 2018 will bring together prominent arbitration practitioners, academics from different jurisdictions and ICT experts for a one-day discussion on present and future challenges to the New York Convention (NYC) on its 60 years anniversary. 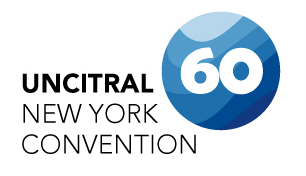 The panel discussions will emphasize on topics related to successes and failures of NYC, the impact of investor state disputes settlement reform to NYC, enforcement of annulled awards, challenges of use of information and communication technologies (ICT) in international arbitration. 10:45 Dr. RÈKA PAPP, Associate at the Office of Prof. Pierre Tercier, former lecturer at the MIDS Geneva LL.M in International Dispute Settlement Issue preclusion under the New York Convention: a phenomenon undermining the objectives of the NYC or a useful tool to manage multiple enforcement proceedings? 14:05 Mr RIKARD WIKSTRÖM-HERMANSEN, Partner at ROSCHIER, Stockholm Office Enforcement of annulled awards: can unified approach be expected in the future? 15:10 Mr ERIK SCHÄFER, attorney-at-law, partner at COHAUSZ & FLORACK Patent- und Rechtsanwälte, chair of the Task Force on IT & Arbitration of the ICC Commission on Arbitration Use of ICT in international arbitral proceedings – how to ensure reliable, efficient and fair process?